Of course it is another Challenge Card! 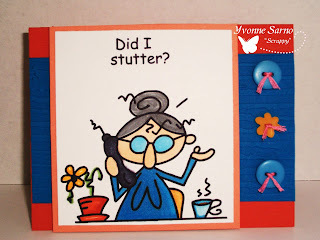 The Bugaboo Stamps Challenge will be going on through February 6th at 7AM (EST)! 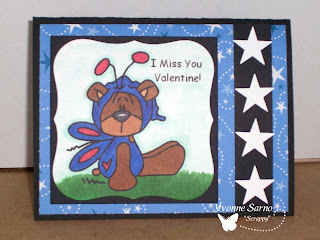 This card using non-traditional colors would make a great Valentines Day card, as well as an entry for the Bugaboo Challenge...'cept as a design team member I'm ineligible to win! But you're not, so why not head over there and give it a whirl & get a chance to win something cool? 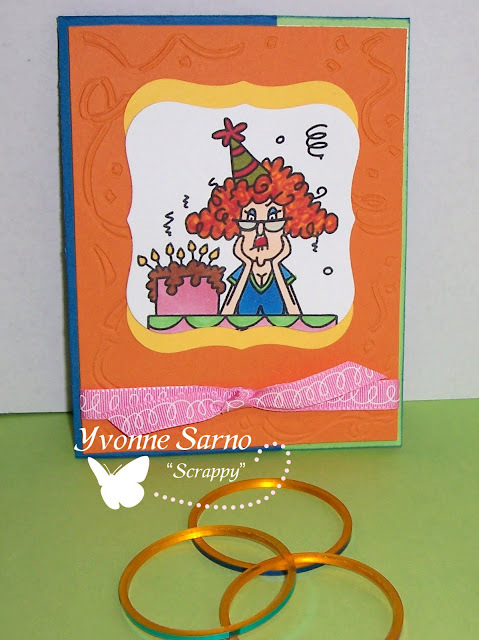 However, this card is also a great match for the DareU2Digi Challenge 30, the Totally Stampalicious Challenge, and the ALC Sketch Challenge #10. Hope you enjoy the card! Be sure to leave me some love to let me know what you think! 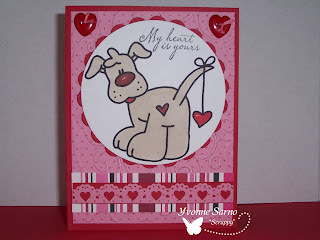 Here is another card I made for Bugaboo Stamps Non-Traditional Color Valentines Card Challenge. Just gotta love the versatility of Bugaboo Stamps, and I especially loved the challenge of using this Skelekinz Stroller for a Valentines Day Card!! 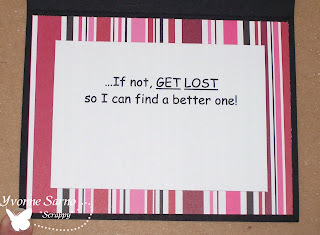 I also used it for One Stop Craft Challenge #65. Be back later with more to share! Well the sun is out, but is below freezing outside here! We are all snuggled in for the day safe and sound. I hope you are all warm and comfy too! Annabella seems to be over whatever stomach juju was plaguing her yesterday! Woohoo! Now hopefully, no one else gets it! Don't forget to keep on being creative today and play along with the Bugaboo Stamps Challenge. 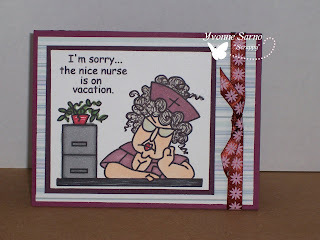 I'll be periodically adding cards and projects on my blog, because even though I can't win the groovy prizes you all have a chance at, - and it's the DT's day off- I just *LOVE* my Bugaboos! My daughter and I are going to spend some QT together cooking and playing in my stamp room! I hope you are all enjoying this wonderful SUNday with your loved ones too! This is the project Annabella completed today. It was such a nice day for us to stamp and enjoy our time together. I am so lucky that my daughter enjoys stamping as much as I do. Considering she is 3 years old, I'm reasonably sure she will soon easily surpass my stamping prowess! What do you think? I don't mind at all, so long as she continues to enjoy spending time with me! I've been making a ton of cards with Red, White and Pink for Valentines Day! But doing the same old thing can get stale and dull fast! Sometimes you have to think 'outside the box' and come up with a card or two that are different. In that spirit, Bugaboo Stamps has come up with a great challenge - Make a Valentines Card, Layout, Tag, or Item using Non-Traditional Colors - No RED or PINK!! 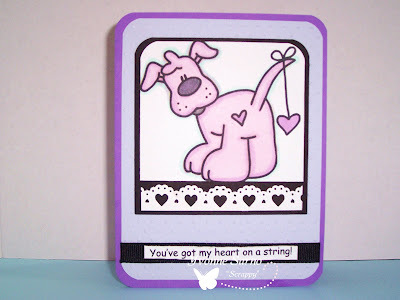 I used Puppy Love Heart String to make this card on the left. 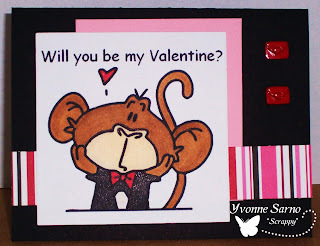 The card below is another good example of a Valentine using non-traditional colors as well! That cute puppy comes from Bugaboos Valentine Basket Line - so if your more of a 'cat person' , a 'bunny lover' , or you just want to see the other sweet animals Bugaboo has waiting just for you or your Valentine, check them out by clicking the link above! These great cards and those of the other DT members were great fun to make! I can't wait to see your cards and projects too! Don't forget to become a follower here, and post your pictures using Mr Linky so we can all enjoy them too! During this 1st Challenge, we need to see your cards posted for a chance to win some awesome prizes! So do ya wanna know what you can win? OF COURSE ya do...so I'm going to tell ya! 1 Grand prize winner will receive 7 Bugaboo digi stamps of their choice!! And, being as it is our very 1st challenge, we'll throw in a couple more prizes! 1 Second prize winner will receive 4 Bugaboo digi stamps of their choice!! 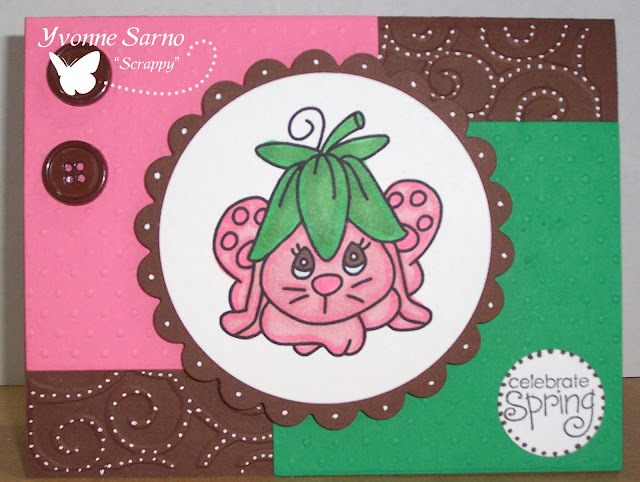 1 Third prize winner will recieve 2 Bugaboo digi stamps of their choice!! Now how is that for a rockin' chance at something cool?! Head over to your table, find your 'Mojo', & get creative! Don't forget - you can enter as many times as you want, but you get TWO ENTRIES for each card you make using a BUGABOO STAMPS image! This challenge begins on January 30th, 2010 and ends on February 6th, 2010 at 7 am EST. We will make the announcement of our winners on February 8th, 2010. Good Luck, have fun, and I wish you all lotsa good Mojo! Gotta give my girl a SHOUT OUT! My own partner-in-crime, and fellow Bugaboo Stamps DT member, Michele did something extraordinary and I wanted to give her a quick SHOUT OUT! 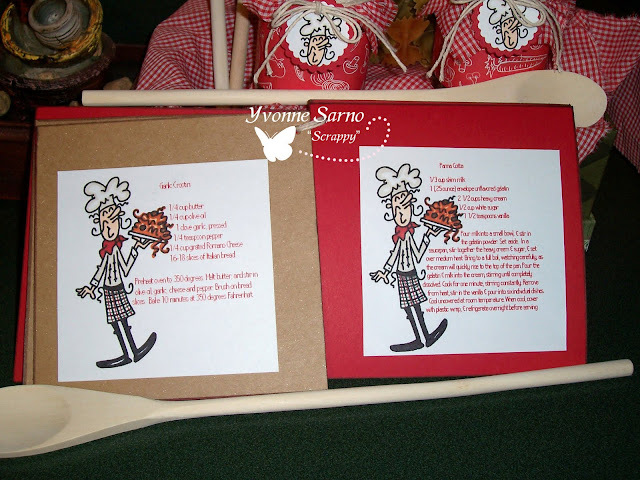 Michele helped design her own stamp set for There She Goes stamps! It's called 'Chemistry' and she is guesting RIGHT NOW on a BLOG HOP that you just GOTTA check out! Get on over there and you'll see why I sent ya! It's Bugaboo Stamps Freebie Friday! Yep! TGIF! I LOVE FRIDAYS-especially when that means you get a new FREE stamp from Bugaboo Stamps! This week the always generous Jodie gave us TWO stamps to choose from! 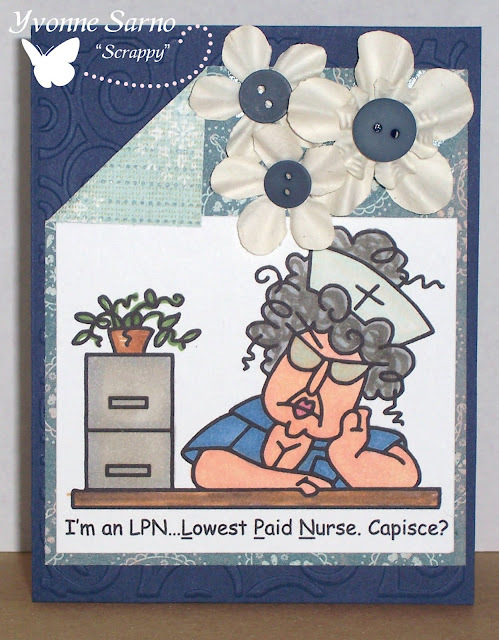 This is the first sample card I made using the Swingin' Chick digi and I had a ton of fun making this card! I will add the challenges info later, because I want to show you something else while I'm on the subject of spending QT with my fave digis! My 3 year old daughter, Annabella REALLY wanted in on the action this week! She nagged & whined, begged & wheedled, until I finally walked away from my stamp room & she colored her own image in to make a card herself! But how can you stay mad when a sweet little face looks up at you & is all proud of the card she made, "just like your card Mommy!"? She laid it out how she wanted it, chose her 'Mama Ho Bling' & ransacked my scraps to make it just right. I helped by running the nesties through the CB & Mono-ing it all where she wanted it. 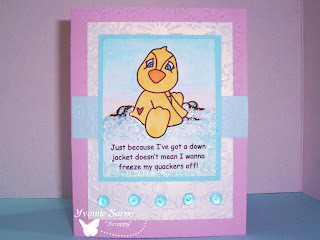 So I'm sharing her card with you today and she is just tickled that everyone will see hers too! Whatever will be next? Her own blog? Nope! She says she wants to do "Challenges too"! Oh Boy! It is another OBG (Oldy but Goody) Thursday at Bugaboo Stamps so I thought I'd share my snarky little 'un-Valentine' card for that special person (you just wish would go away) in your life! Hope you enjoy my 'off' sense of humor! I also created these other two cards using some of Bugaboo's 'older images' that I *needed*! I'm sure you'll see why & agree! This first card is for my best friend since high school, & my daughters godmother. She probably has no idea how much I think of her & how much I miss her! We don't get to talk nearly as much as we should! I immediately thought of her when I saw this watering can full of 'Monkeyfaces'. Her dad has called her 'Monkeyface' for years, & I know she loves them too! Now, I hope she won't see this post...at least not until after she gets the card in the mail! Bugaboo Stamps, the Catch the Bug Blog, our SNR Universe Fan Site, and the PaperCraft Planet Bugaboo site have all reached our first big milestone for followers! We, on the DT as well as all of Bugaboos Digi-fans are all enjoying the celebration along with Jodie the creator of Bugaboo Stamps! Jodie released THREE freebie stamps so that everyone could enjoy all of the digi fun we've been having in this new year and this new endeavor! This is just one of the sweet digi's that Jodi gifted everyone with to celebrate! Thanks Jodie and congratulations! We look forward to helping you reach the next big milestone on this exciting journey! This afternoon, I found out I was the randomly chosen winner of the Incy Wincy Designs Challenge! I was so excited to find that I won some stamps from Stitchy Stamps! 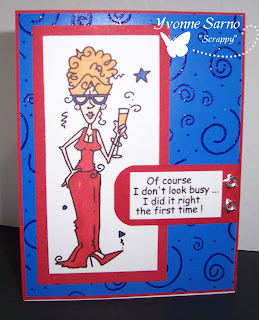 My winning card featured this fun, and sassy stamp from Bugaboo Stamps! Head over there to get some "Mildred's" yourself! Now as some of you know, I just LOVE Challenges! So when Stitchy told me she was starting up a new challenge blog on Valentine's Day, I thought I'd share the news with all of you! While she is getting it all set up, she has a mini challenge started (no 'work' to do for it at all!) as well as some yummy Blog Candy waiting there! Head over to her new challenge blog - One Stitch at a Time and nab yourself a chance to win something good too! Well it's Wednesday and I'm halfway through the week! I have a ton of housecleaning to do because I found out last night that we are going to have some young guests dropping in to play with my 3 year old! Since I have never met my guests, I have no idea exactly how old they are, or what they are like. That also means I have to go crawling around on my stomach - mission impossible style - just in case! I also have to grocery shop, run a few errands, and fix my mothers showerhead (in the next town over) all before my guests get here. Oh...and one more very important thing...I don't know what time they will be here! That all said...I can only say one thing to explain this whole saga... My darling husband made these arrangements. Believe it or not, I actually am a positive thinker (self delusional huh?)! I really think I'll be able to handle all of this! I mean seriously, just because I was still in my stamp room playing with my Copics and making cards after 2:30am, doesn't mean I will be tired right? Just another three POTS of coffee, and I'll be able to open my eyes. Then and only then will I start running around like the hamster-on-crack that I always am! Okay, so the real reason most of you come and check in on my blog is that you wanna see what kinda creative things I've been up to. Well, I made this card after I opened a swap envelope from my good friend Su, and these GORGEOUS felt flowers fell out! I have no idea where she got them, but I do believe I will have to make a roadtrip to get some more! 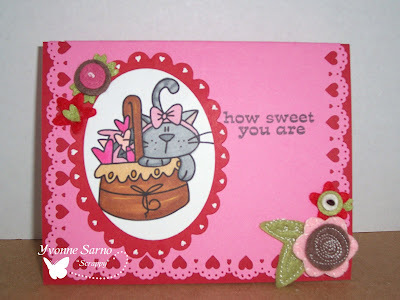 I used Bugaboo Stamps Kitty Basket Stamp from the new line Jodie introduced last week. 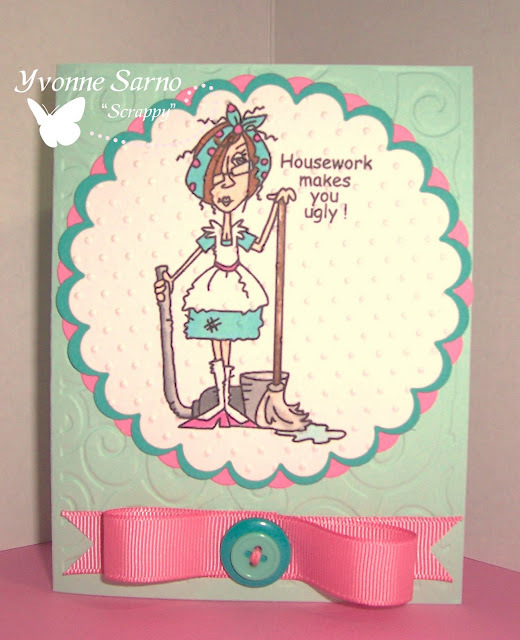 I made this card especially to take part in Crafty Creations Blog Hop, -and because Bugaboo Stamps is a sponsor! But of course all the little extra deets make it perfect for my ever growing challenge list! This one was just SO fun to play with! A special thanks to Su G, Jodie, & all the folks making up these challenges! Keep 'em coming! Yay! It's another New Release Tuesday! 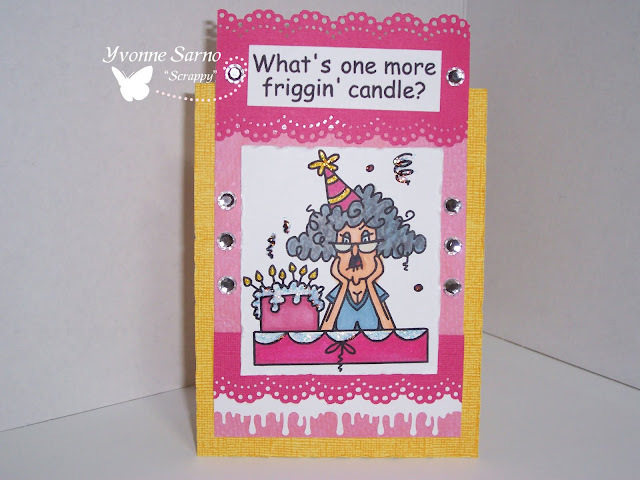 I love to get to see the Bugaboo Stamps new releases and making new cards and projects with them to show you! This week, Jodie was pretty crafty and sent the DT all different images to see what we would come up with! I had a blast making this with this CUTE puppy! 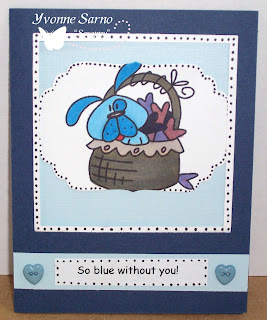 I added the sentiment myself, so the puppy is perfect for several different occasions! Be sure to check back during this weekends Challenge to see what else I've created with him! And of course, I wouldn't be me if I didn't note that he is also PERFECT to complete several challenges as well! I just can't resist playing with these sassy Bugaboo girls and doing them up for challenges! 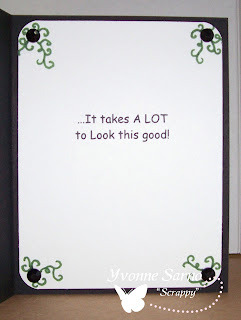 These digi's are so incredibly versatile, and it's pretty simple to find a great sentiment for anyone and any occassion! 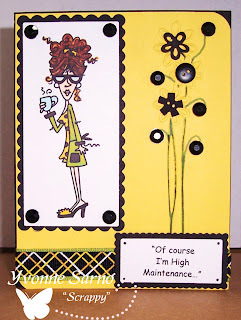 Check out the 'High Maintenance Girl' card I made for one of my shopaholic friends! I even matched her up to my friends looks and taste! Come on! Ya gotta laugh today! It's de riguer for Belly Laugh Day! I have every intention of putting up as many cards to make you laugh as possible tonight along with doing challenges too of course! ;-) Check 'em out and let me know if I've brightened your day with a laugh! Don't forget to nab this Mildred from Bugabostamps! She's the Friday Freebie and seriously...who doesn't like free? Did you know today is National Belly Laugh Day? No? Well it is, so here is my Bugaboo Stamp card to celebrate! Hope you get a chuckle out of it! Yeah, I know it's January, but I'm freezing & can't wait until spring! 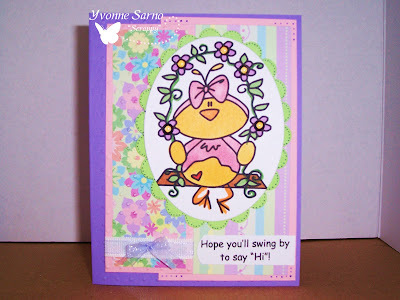 So when I saw Artful Inkables Challenge, to make this fun, cute, and spring-y card! 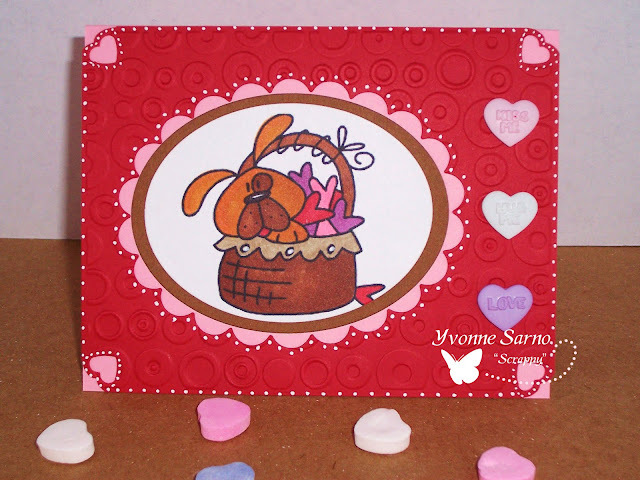 The bunny stamp from Bugaboo Stamps makes it apropro for Crafty Pads challenge, and the layering also make it perfect for A Spoonfull of Sugar's challenge as well! Hope you like it! This card was entered in the following challenges! Thank You all for the fun opportunities to play along! 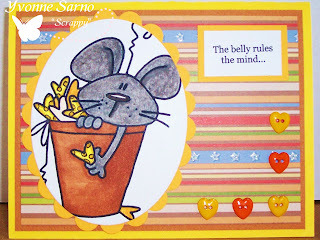 I'm happy to have made this weeks featured 'Oldie but Goodie' card sample for Bugaboo Stamps! 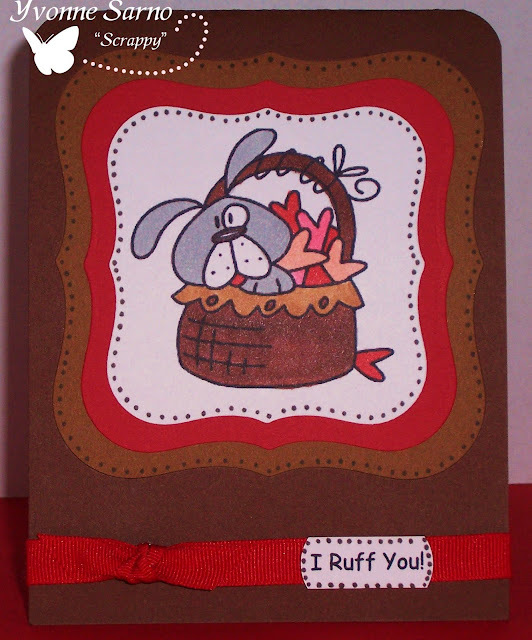 This card features Ruby -January along with the sentiment that accompanies JJ - Not Busy. 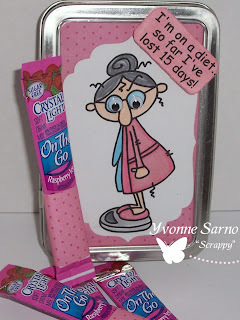 There are so many creative ways to combine Jodie's sassy girls and clever sentiments! This is an especially great for helping those of us with limited supplies and storage space to increase the many different things we can create! Ruby is excellent for invitations, Girls Night Out themes, birthday's, parties, and all sorts of occasions! And because she is a digital stamp, she conveniently takes up only a miniscule spot in your hard drive! :-) What a great no-clutter solution for having your stamps and your space tidy too! Blog Hop -Blog Candy Winner! The Bugaboo Stamps Blog Hop is officially over and the info has been tallied! Random.org picked #37, which means GENETTA -you have won my Chef Pierre Recipe Book & Package! Please email me at sewcountrycrafts@yahoo.com to claim your prize. Don't forget to put 'BLOG HOP WINNER' in the subject line and include your shipping address so I can get it into the mail ASAP! Congratulations! Love the look of Flower Soft, but not the price? Head over to Tammy's Blog to find a quick, easy, and CHEAP way to make your own Flower Soft substitute! I *think* I might have to try it myself and post my card later tonight! Thanks Tammy for sharing in your tutorial! Check back every Wednesday on the Bugaboo Blog to see what techniques and tips the Design Team wants to share with you next! 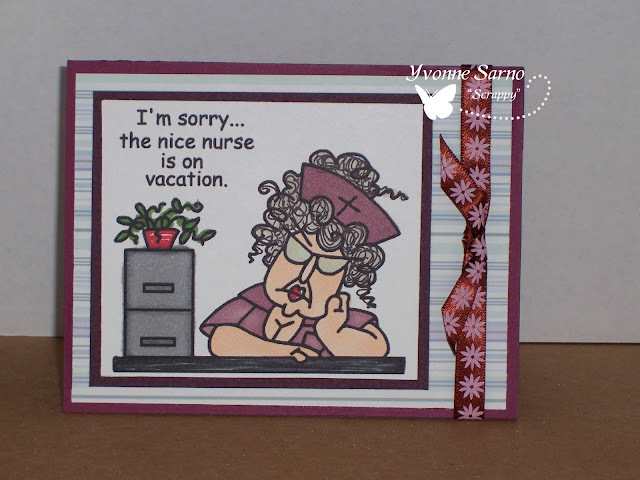 Be sure to check out Bugaboo Stamps fun, and sassy new stamp release! I am delighted to be part of the design team that makes up these samples to show you! These are just a few examples of what you can make with some of Bugaboo's newest stamps! Be sure to go to www.bugaboostamps.com to nab yourself some or all of these cute Digital Stamps! While you're there, don't forget to check out ALL of the fun project samples and this weeks Freebie too! 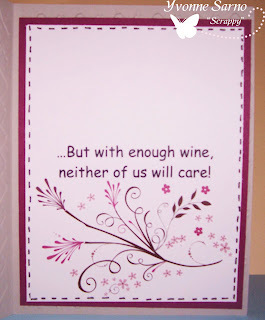 I made this card thinking of someone in particular...(YOU know who you are!) 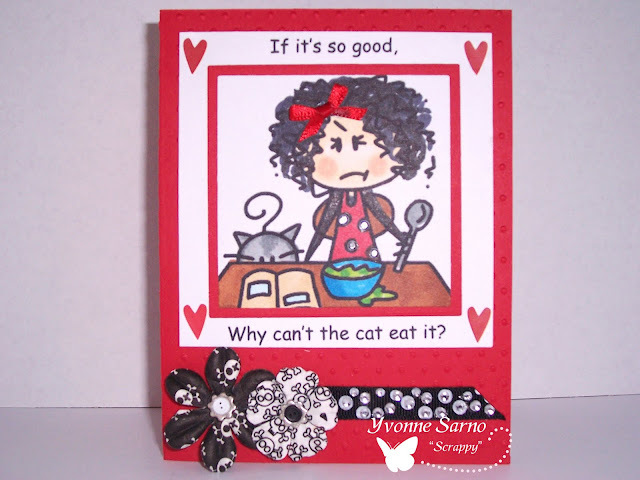 :-p Anywho, I hope you enjoy this card featuring Bugaboo Stamps - JJ Cooking. This was a bit out of my comfort zone, but I decided to try it! Let me know what you think! * These are all Clickable Links if you want to check out the challenges yourself! It's Bugaboo Stamps ABaC Monday! That's right! Today & every Monday, Bugaboo Stamps will feature an ABaC (Anything But a Card) created by one of the Design Team members. This first week, it is my honor to get to share another fun project with you! 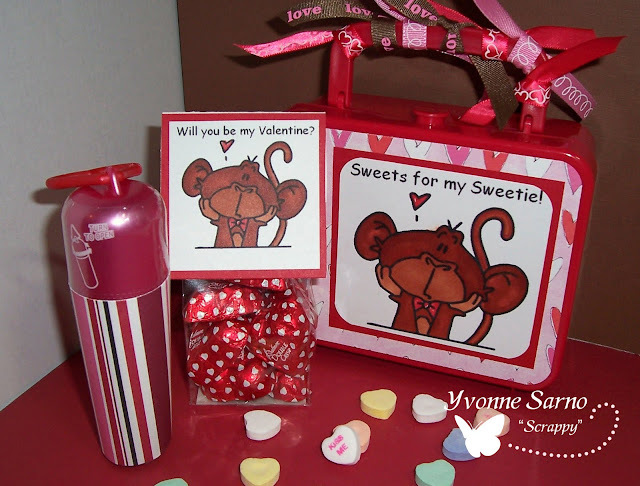 I used Monkey Love -Topper to alter this plastic lunchbox and make a bag topper for the little bag of chocolate hearts. As you can see, since the stamps are DIGITAL, you can easily change the size and sentiment for anything you might want to make. I am even using this to make the party favors for my daughters preschool Valentine's Party! 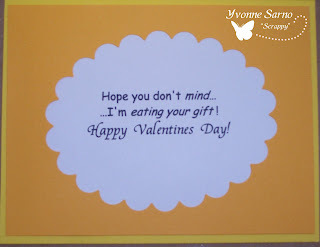 Be sure to keep checking back here as I will be adding other Valentines projects, ideas, sketches & cards! Recipe for ABaC Projects: GP White CS, Paper Company DP, Digi by Bugaboo Stamps, SU Real Red Cardstock, Spellbinders Nestibilies, Asst. Ribbons, Copics: E15, E19, O, R83, R27. Crabby Cathy has struck again...! 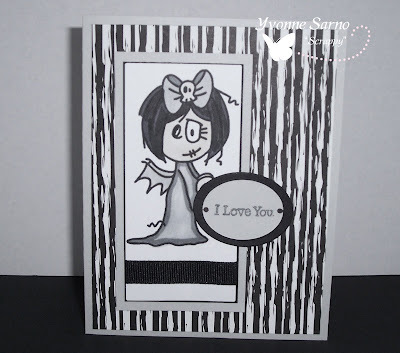 I love this little girl from Bugaboo Stamps! I thought about what she *might* be thinking as soon as I looked at her. Then I thought 'why not?' and printed up this sentiment. Being me...I also tried to see how many challenges I could work her into, & beat my earlier record of TEN challenges on one card, by FOUR more! * Click on links if you want to see the challenges. I made two more challenge cards! 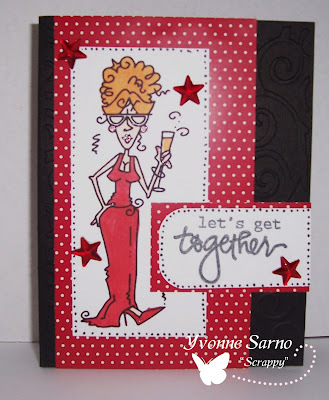 For this card I used the Girls Night Out Challenge, as well as the Use Something New Challenge, Embossing, the Texture Challenge, the Layer Challenge, Belli Challenge #82 (CBC82), the Embossing Challenge, Diecutz Leftover Challenge, and the Debut Day Challenges. I'm going to post really quickly, so I can feed my monster...& his daughter! Hope you enjoy this card! Alot of my good friends on Splitcoaststampers know me as 'EB'... meaning 'Energizer Bunny'! In keeping with this, I've been known to stay up all night chatting on Splitcoaast, stamping, etc. However, since I have pneumonia I'm "taking it easy (er)" so I *only* worked on around a dozen or so challenge cards. 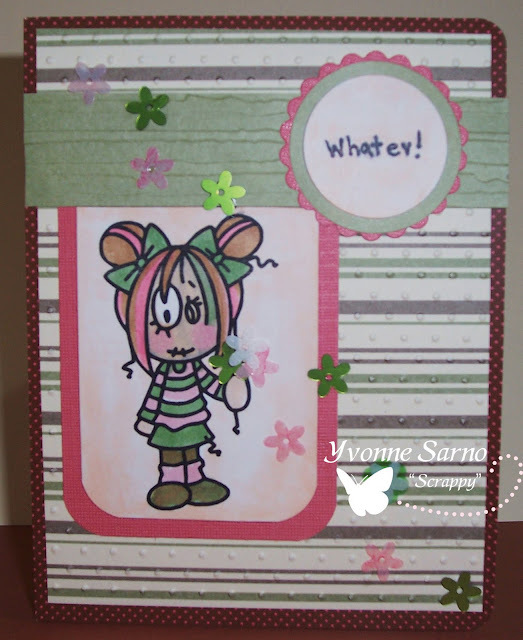 Here is another of the challenge cards I made using Bugaboo Stamps - JJ Ugly. 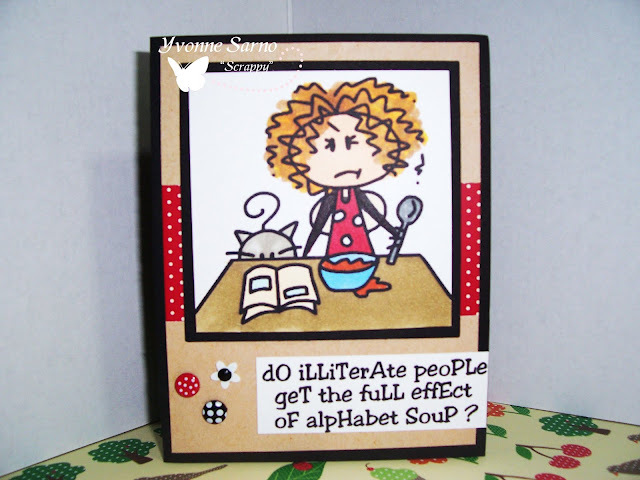 I made this for Tuesday Morning Sketch #28, ABC Challenge 'L', Raise the Bar Debut Day Challenge, Charisma Cardz Challenge 2, DareU2Digi Challenge, YNS Challenges #7, Sew Many Challenges - Anything Goes, Practical Scrappers Embossing Challenge, Crafty Creations Challenge #50. Another card for a Challenge? You betcha! These Bugaboo Stamps make it quick and easy to enter almost any challenge! I used this one for Crafty Creations Texture Challenge, a Diecutz Challenge, Sew Many Challenges- Anything Goes, as well as a Taylored Expressions Challenge ! This was fast & so much FUN to do! I have a bit of a cracked sense of humor, but I hope you'll bear with me! 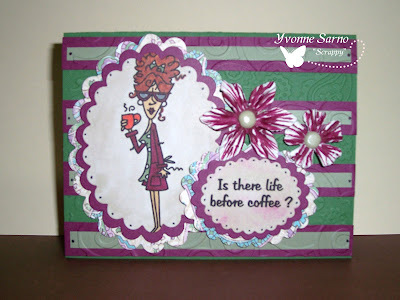 I made this card using Bugaboo Stamps Stella Coffee for Splitcoaststampers Sketch Challenge #146. I submitted it to Fun and Fancy's Challenge - Winter Theme, Belli Challenge #82 (CBC82), Sew Many Challenges-Anything Goes, and this Snowflake Challenge as well. Hope you get a good giggle from it too! 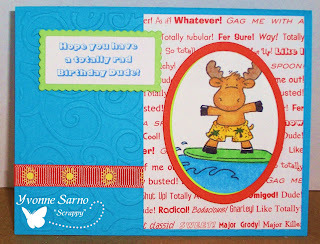 I decided to use Bugaboo Stamps freebie Stella - Birthday to do Challenge #7 sponsored by Your Next Stamp Challenge. It's also perfect for the Birthday Challenge from Pink Elephant, Sew Many Challenges - Anything Goes, and the Embossing Challenge for Practical Scrappers! Don't forget to keep posting your comments during the Bugaboo Stamps Blog Hop for a chance to win some excellent prizes! :-) The Blog Hop starts here! Don't forget to go over to the Challenge thread and click to follow! Jodie has promised to give EVERYONE a new freebie if the number of followers reaches 100! I Love a Blog Hop! 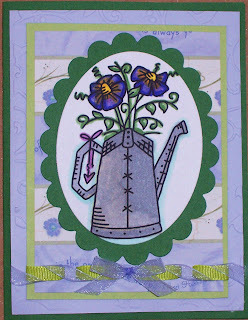 I'm so excited to be part of Bugaboo Stamps FIRST BLOG HOP! If you just got here from Tanya's wonderful blog then you are on the right track! If not, head over to the Catch The Bug Challenge Blog to start the fun. Don't forget, you MUST comment on each and every blog on the hop to qualify for prizes! For my Blog Hop project I made not one thing, but a whole series of things which make up one very cute gift basket! I hope you enjoy seeing them! 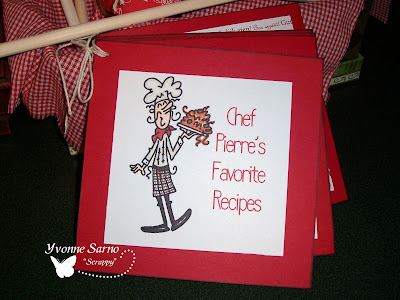 First I started off with this cute Chef Pierre Recipe Book. This book is conveniently held together with kitchen twine, so it is easy to remove pages as needed! It is also convenient in case you need to truss a chicken before putting it into your oven! 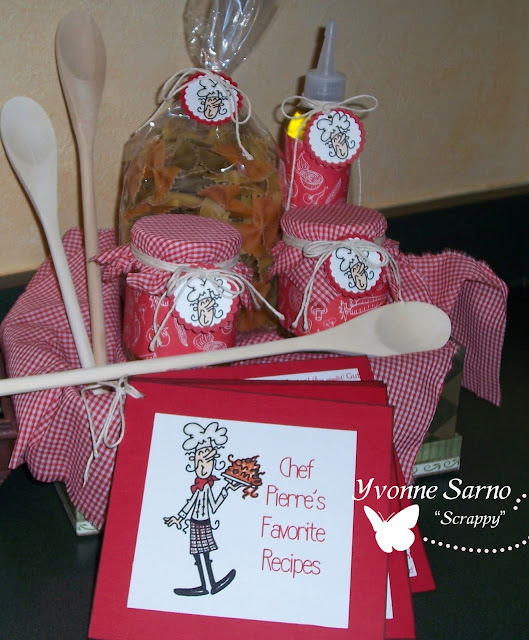 I love my Chef Pierre digital Stamp and find him so versatile! 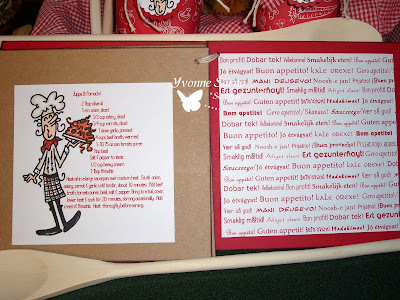 The inside of the cover has space for the chef to make any notes on the recipes inside the book. 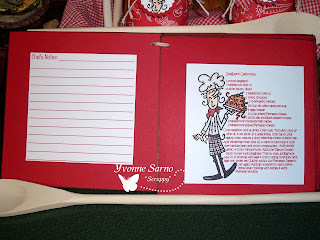 Much more convenient than writing in the margins as you might have in other cookbooks! It was a simple thing to change the size of the image and insert the wording wherever I wanted on the page! 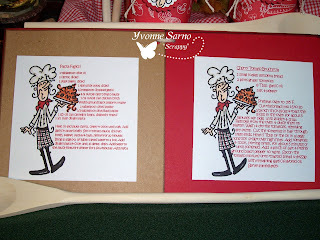 This was very helpful when I started making the recipe card pages inside! I 'dressed' my little chefs using my Copic art markers. I included recipes for Pasta Fagioli, Tomato Bruschetta, Panna Cotta, Zuppa di Pomodori, Spaghetti Carbonara, & Garlic Crostini. Yummy! I used the same color palette for all of the pages, and double mounted all of my red cardstock onto 6x6 chipboard pages. This made for a very sturdy recipe book! For the inside of the back cover, I made my own 'DP' by making a repeat pattern of 'Bon Appetit' in 23 different languages & then printing it! So the book was complete, but what is a book without having some delicious ingredients to go along with it? So I went shopping for some delicious Farfalle, Basil Pesto, Garlic Infused Olive Oil, and Sundried Tomato Pesto spread! I made Moxxie DP label covers for each bottle, & fabric covers for the lids. Then I went back to my computer and digitally decapitated Chef Pierre to make the labels for each ingredient. Finally, I arranged them in a pretty DP cover box to make a gift for someone special. Now why did I go through so much trouble? For whom did I make this? Well...MAYBE it's for you! Be sure to comment on EVERY blog in the hop, because THIS is one of the many prizes we are offering to people who are hopping along with the Bugaboo Team this weekend! It's Friday Freebie day at Bugaboo Stamps! 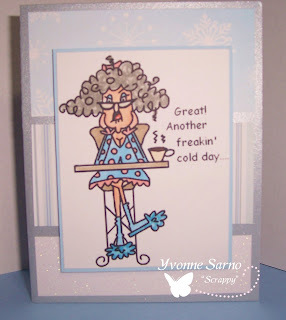 The freebie this week features Bugaboo Stamps incomparably witty, crabby-old-lady "Stella"! Check out this card I created with her! Don't forget to set your clock, nab yourself some computer time and be ready for Bugaboo Stamps FIRST BLOG HOP tonight at 8pm EST! There are several fantastic and creative projects to be featured, as well as some fun prizes hidden along the way! Don't forget to leave a comment on every blog to qualify for the prizes! I can't wait to show you what we've all been up to! BTW: This card is coincidentally perfect to complete Pink Elephants Birthday Challenge too!